American diplomats in Nigeria on Friday claimed that “groups associated with terrorism” could be planning to attack a hotel in Nigeria's financial capital, Lagos, in a travel note to citizens warning of security risks. “As of late April, groups associated with terrorism allegedly planned to mount an unspecified attack against the Sheraton Hotel in Nigeria, near the city of Lagos,” the US Consulate General in Lagos said in an emailed advisory. “There was no further information regarding which of the two Sheraton Hotels in Lagos was the possible target, or if both of the Sheraton Hotels are possible targets. 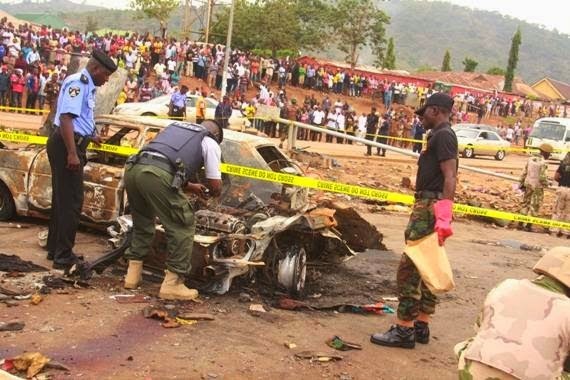 The warning comes days after a second car bomb exploded in Nigeria’s capital Abuja, killing about 19 people and wounding scores more, just yards (metres) from a bus station where a previous bombing on April 14 killed at least 75. Nigerians, please be vigilant.